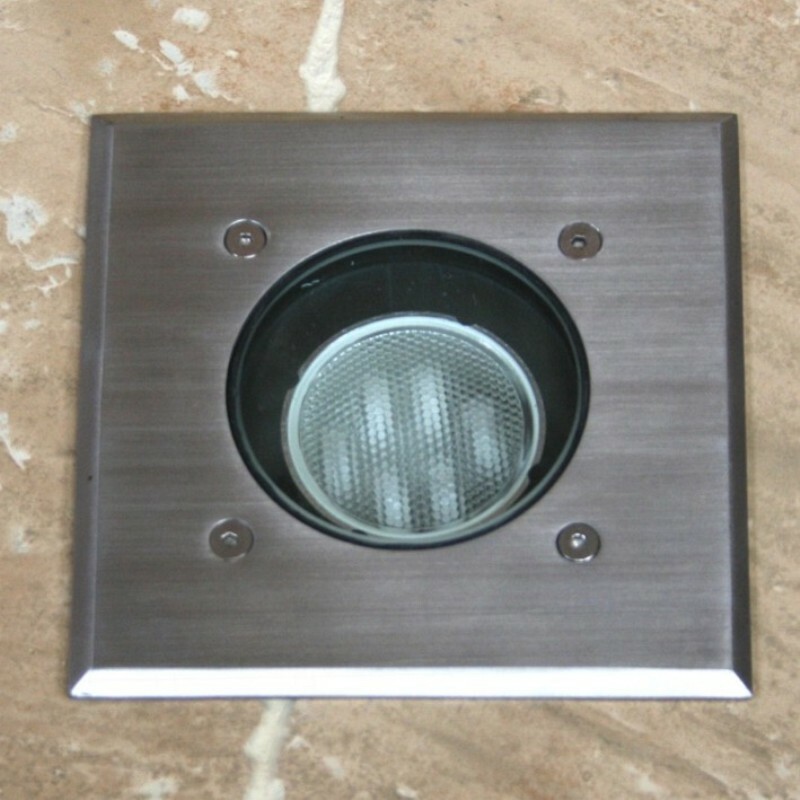 Recessed uplights are recommended in flat areas where spike mount lights would be visually intrusive, would be a maintenance problem (mowing a lawn, for example) or a trip hazard (in paving on a terrace or porch). Otherwise, spike mount uplights are preferred as less expensive than recessed units and more easily moved or adjusted to suit plant growth or seasonal changes. Uplighting is a locational concept which can give rise to several concepts of lighting effect, including accent lighting and grazing. It is used where special attention to a feature is required, such as a tree, statue, house façade or wall. Recessed lights are always more expensive than spike mount lights and come in two main types: non-adjustable lights offering straightforward uplighting and adjustable uplights where the lamp direction can be adjusted with the recessed light for wall-washing or lighting an object from just to the side or front. Non-adjustable types are smaller as they don’t have to provide room for variable lamp positioning inside the unit. 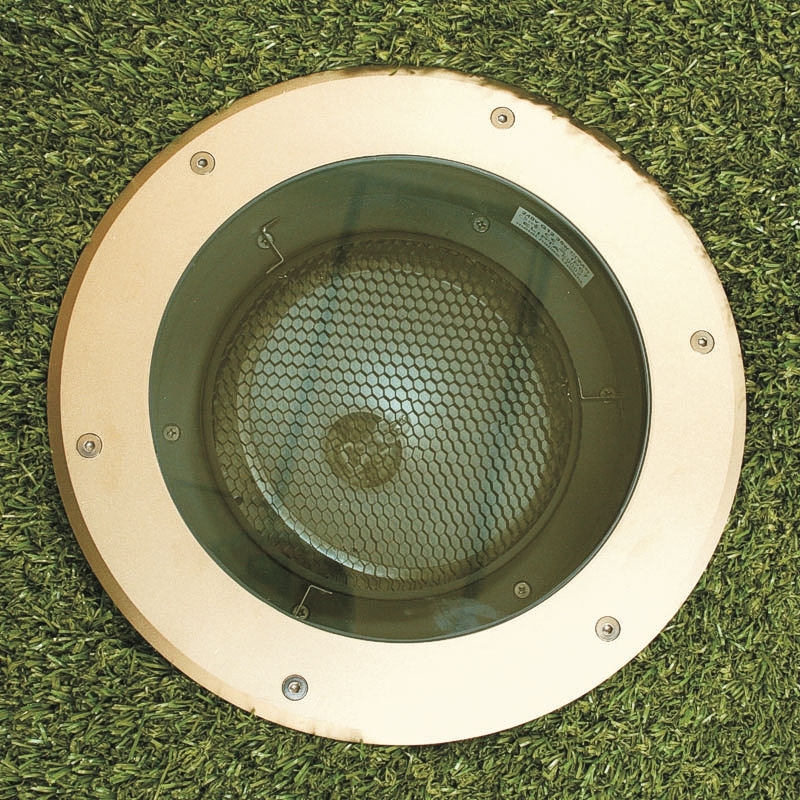 Recessed uplights are often specified because burying the light in the ground seems the best way of uplighting a subject without seeing the light source: uplighting a tree growing out of a lawn area with a flush recessed uplight will enable mowing to be carried out without the risk of light damage or trip hazard which would be implicit with a spike-mounted uplight for the same role. In other cases, though, a spike mount spotlight may well be more flexible and less expensive, provided it can be hidden amongst low planting so it doesn’t become a focal point in itself. Lamps produce heat as well as light, so lights become hot in use, a concern where recessed uplights are used in circulation areas, especially where a bare foot or paw might be injured by a hot lens; if in doubt, use more lights of lower lamp wattage to create the required effect. MODULA recessed uplights include a wide choice of both 12v and 240v versions, including energy saving led and compact fluorescent spotlamp versions as well as halogen models: the Modula name reflects the interchangeable round and square, 316 stainless steel and textured brass top plates, and the clear and frosted lenses, which makes this range adaptable for both modern and heritage projects. 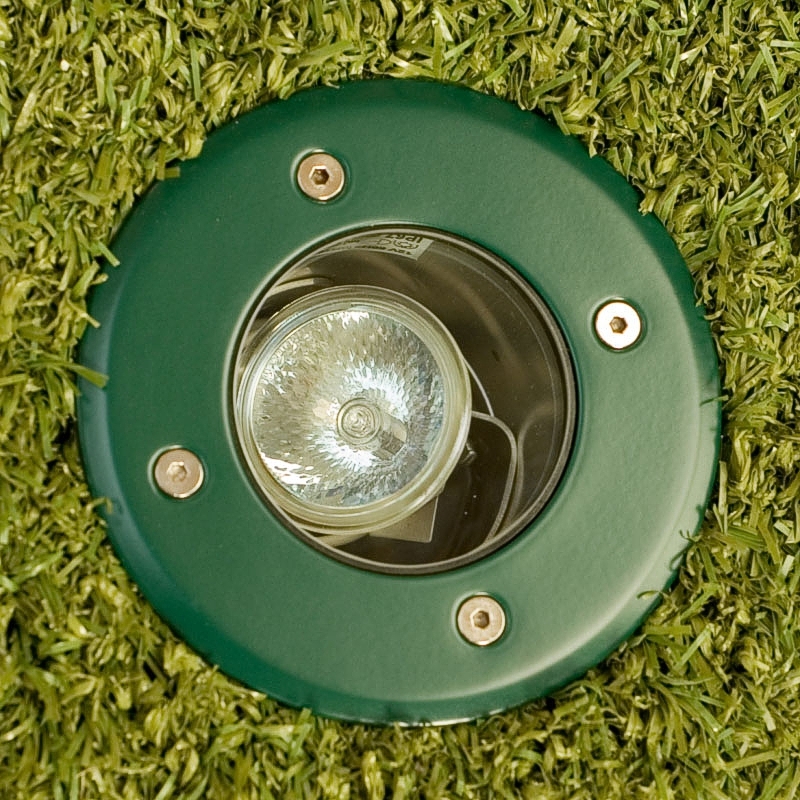 A new addition is the round green top which is unobtrusive when used in grass as a lawn uplighter.